Acrylic and Enamel paint on paper, aluminum beer cans, wire and mesh. Acrylic and Enamel paint on image transfer monoprint, paper, aluminum beer cans, wire and mesh. Acrylic and Enamel on paper, aluminum beer cans, wire and mesh. Acrylic and enamel paint on mesh, wire, fabric, paper and beer cans. 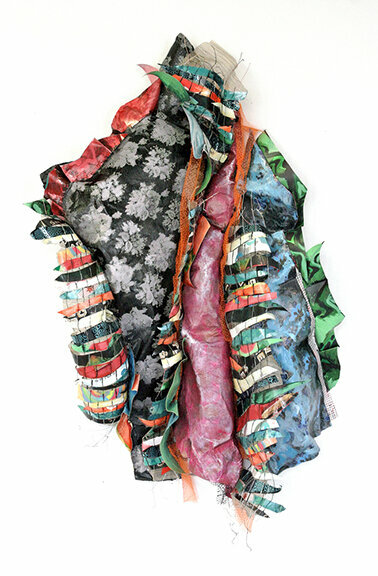 Made from mesh, wire, aluminum beer cans, fabric, paper, acrylic and enamel paints. Acrylic & enamel paint on paper, wire, mesh and beer cans. 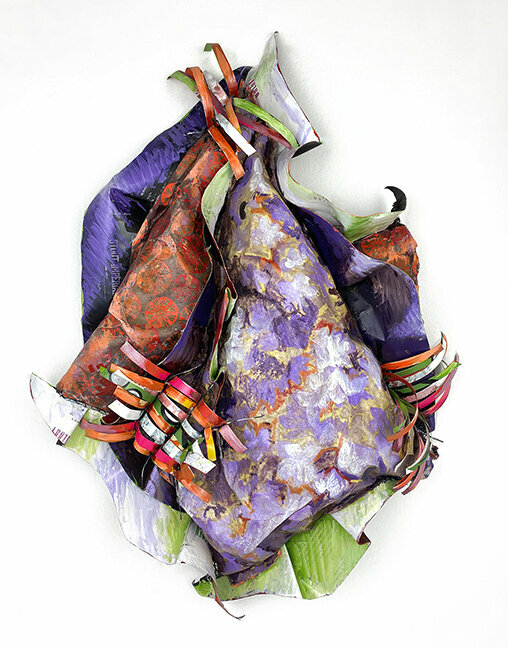 Acrylic and Enamel on fabric, paper, aluminum beer cans, wire and mesh. 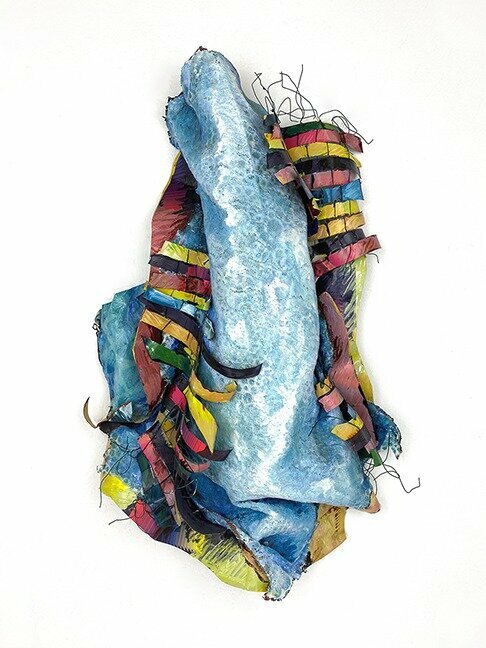 Made from mesh, wire, aluminum beer cans, paper, fabric, acrylic and enamel paints. Acrylic and Enamel paint on image transfer, paper, plastic fencing, wire and aluminum beer cans. Image transfer, paper, acrylic and enamel paint, wire and aluminum beer cans.